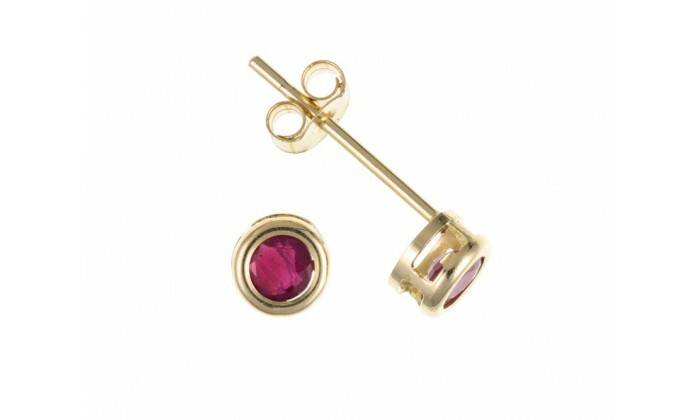 A lovely pair of 9ct yellow gold earrings set with a round cut ruby. 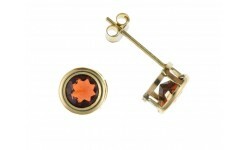 Each stud is approx 3mm in diametre. Post and scroll back studs.